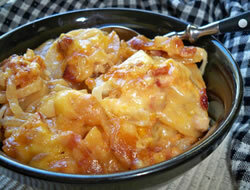 Tips and Variations: Add 1/2 to 3/4 cup grated cheddar cheese to the sauce and mix to melt. 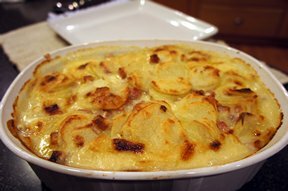 Sprinkle bread crumbs on the top if the potato mixture before baking and bake as above. 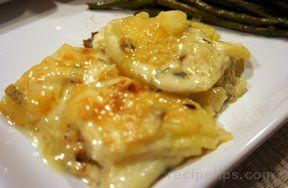 Easy au gratin potatoes!